There hasn’t been a post in a week or so because of a kidney stone. It’s stone No. 3 for me, and it’s still inside moving around and causing pain and discomfort. The pain medicine is really screwing with me too. My apologies for lack of updates. So, unless you’re.. um.. dead, you probably know that Halo 3 comes out today. I’ve recently played through the original Katamari Damacy for the PS2, played some Kengo for the Xbox 360 and blazed my way through the retro Final Lap Twin for the TurboGrafx-16. Katamari was fun, and I rolled up some huge balls of junk. My familiarity with the game prior extended to its awesome soundtrack and playing through the Beautiful Katamari (X360) demo. At times the controls were a tad annoying, but overall it was a fantastic game. I’m not sure how sequels play though as I can’t think of anything to add/remove to change the game dynamic. Kengo was bad. Let’s move on. Final Lap 2, as it was called in arcades, was a Namco release, later ported to the TG16 as Final Lap Twin. It sports Pole Position styled racing. The real draw of FLT is the new Quest, or RPG, mode. The plot is simple: Your dad has given you a car (go-cart?) for you to race with to become the world champion racer. Travel across the continent and race others in random encounters to gain cash to upgrade your car. I remember this game taking a good chunk of time to complete, but I was able to play through it this weekend in around three hours. Disappointing, but the game was just as fun as I remember it being. Random encounters consist of one-lap races that last about 30 seconds to a minute. After each race, collect the prize money (seriously, what are kids doing with $2,400 or so in their pockets??? And why are there race tracks EVERYWHERE on this continent?) then go to a local city to purchase new parts for your car to max out its stats. It’s a fun game as I stated, and it would be nice to see a new racing RPG in the same style as FLT. Sonic the Hedgehog 2 goes live today on Xbox Live Arcade ($5) for the Xbox 360 . 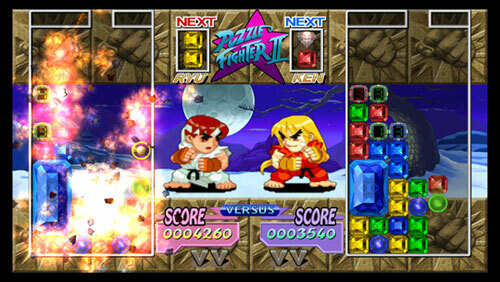 It features online play in the competition mode. Conversely, Sonic the Hedgehog 2 was been released on the Wii’s Virtual Console ($8) a few months ago and features absolutely no online support. Re-read that. Do you see the issue? Consumers can choose to pay $3 less and receive more features. Why would anyone want to support the VC when you get less for your value? The Wii version may sound like it’s the loser, but actually both of these service bend the user over. You see, a few years ago, Sega released the Sonic Mega Collection and Sonic Gems, each collecting 6+ games each into nice little packages, neither requiring owners to install them onto their precious memory. And considering these two releases are so old, they can easily be found in discount bins and online for cheap. Have you been shocked by the bio? It’s been hard the past two weeks to go a day without reading about Bioshock. Whether it’s the rave reviews the title has been receiving, or the people upset with PC version limitations, it’s big news, and rightfully so. The environment and mood of the game are what sell the game for me. These two elements really help immerse you into the world of Rapture, an underground civilization created by a visionary, Andrew Ryan, a man who’s lost his mind. Set in the 1960s, the plot is rich, though it’s a little slow to start. You’re pretty much thrown into this world left to fend for yourself with a little guidance from Atlas, a dweller of Rapture that communicates via radio. It’s up to you to go after Ryan and take down the society gone mad. The graphics are amazing. I’ve never played Gears of War, but I hear the graphics are comparable. To think that about 15 years ago we were playing Wolfenstein 3D and now we’re seeing things like this is pretty amazing. Then, of course, there are the plasmids, which are your special abilities. Shoot electricity from your hands, set foes ablaze, or even pickup and hurl objects at your enemies with telekinesis. If you enjoy FPS games, definitely check this one out. It’s probably the best game to be released on the Xbox 360 this year. So this year I’ve reviewed a handful of games for Sony’s ill-received child, the PlayStation Portable. Upon introduction to the market, I heard that the only game worth playing was Lumines. Fast-foward a year, I demo a game or two in-store to find that to still be true. Fast-foward again to this year, and there have been some decent games coming out for the system. Crush, Ratchet & Clank, Chili con Carnage (a guilty pleasure), Jeanne D’arc, and now I’m working my way through Syphon Filter: Logan’s Shadow. I think it’s great the system is finally having some worthy games coming out, and Sony is even relaunching, sort of, the PSP itself with the new slim model. It’s just sad it has taken more than two years for it to finally be a worthwhile purchase. Now, I’ve never played a Syphon Filter game in the past, but I heard they were fun to play through. Well, this game, the sixth in the series, proves that “hearing” true. When I play the game, I oftentimes find it hard to put down. It was a plot, though not the best (but better than the constantly re-hashed Zelda plotline). You’re a special ops guy out to save the world without getting killed. Typical spy stuff. I love the ability to sneak around and pick enemies off one by one by shooting them in the head from around corners, or to just storm into the place with your AK-47 blazing. There are times, though, when you must sneak around. If you don’t do that, no worries. If you die, you simply restart from where you were, no punishment involved. It’s kind of nice, but it really reduces the difficulty factor. I remember when games were something that required time, dedication and skill… but that’s a post for a different time. Ever since the ESA announced E3 would be scaled back and made to an invite-only event, people across the net have been up in arms about the whole thing. I really don’t understand why. After much wait, Super Puzzle Fighter II Turbo HD Remix (SPFIITHDR for short?) finally has a release date for Xbox Live Arcade: 9:00 a.m. GMT (2:00 a.m. PDT) Wednesday, August 29, 2007. I’ve been a fan of the game since I first played it at an arcade, then later on the Dreamcast. I’ve been following the release of this game since it was announced for XBLA, and finally got some hands-on time with it at this year’s E3. Strangely, I only saw the PS3 version to demo. I’m sure the 360 one is play the same, but with a horrid d-pad implementation.